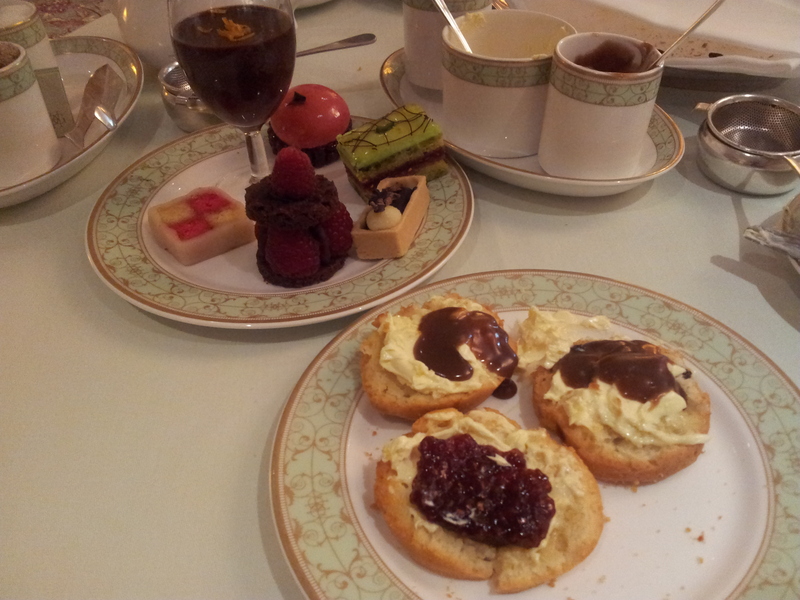 The Paul A Young Chocolate Afternoon Tea, Grosvenor House Hotel, London – Why Waste Annual Leave? 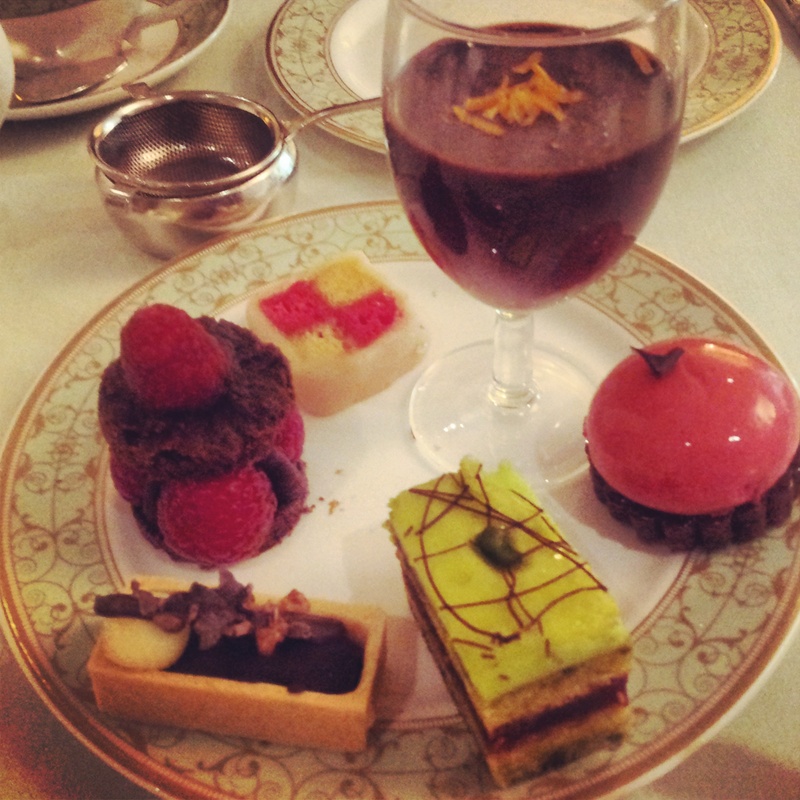 Ten years ago, a student living in the heart of London saved up her pennies to treat her best friend to a luxury afternoon tea. It was a splendid afternoon, far removed from the usual escapades of student life, an experience sweetly imprinted forever in her mind and one which was to pave the way for a calorific, future hobby. That student was me and over the last decade, I have sought out any and I mean any excuses to try out new afternoon teas around London – birthdays, anniversaries, Mother’s day; first dates, second dates, third dates. I think it’s safe to say, it’s not that hard to find a reason when you’re as enamoured with the tradition as I am. Just a few weeks ago, when I heard about this chocolate afternoon tea, created in conjunction with top British chocolatier, Paul A Young, it was not a question of whether to go – it was just a question of when. How fortunate then that my good friend (and fellow chocoholic) had a birthday falling just in time. Tea, cake and birthdays – a decade on and still a winning formula. In the open, airy and relaxed lounge environment of the Park Room, Grosvenor House, large windows treated us to sunny views of Hyde Park. The staff were genuine, attentive and efficient. No pushy turnaround times and the mention of my friend’s birthday did not go unnoticed. Various menus were available but today, we were all about the chocolate. There were a range of teas on offer but neither of us glanced at them after spotting the Madagascan cocoa nibs specialty tea. A fountain of crushed cacao beans infused in water gave an exquisite and explosive lingering, cocoa aroma – nothing short of a delight to the gullet. I drank the entire pot. Oh yes I did. A refreshing mini pineapple, melon and mango salad provided just the summer burst of fruit we needed to cleanse our palates (and consciences) before getting started. 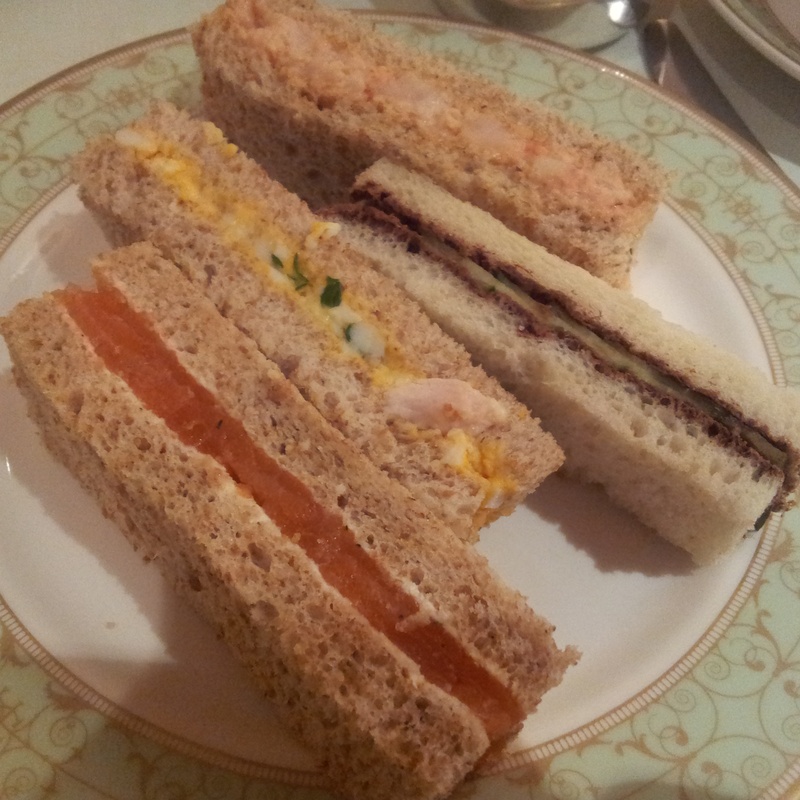 The sandwiches included some expected participants (ham and cheese, smoked salmon and cream cheese), some of my favourites (chicken and tarragon) and some downright quirky – chocolate and cucumber. Sound bizarre? It was – but it works freakishly well. The cakes were laid out on the top deck of the three-tier stand from the outset (you could put a sausage roll on one of these stands and it would still manage to look grand.) But like school girls in the front row, we abode by the rules in order to eat in the chronological fashion that is called for in such an establishment. 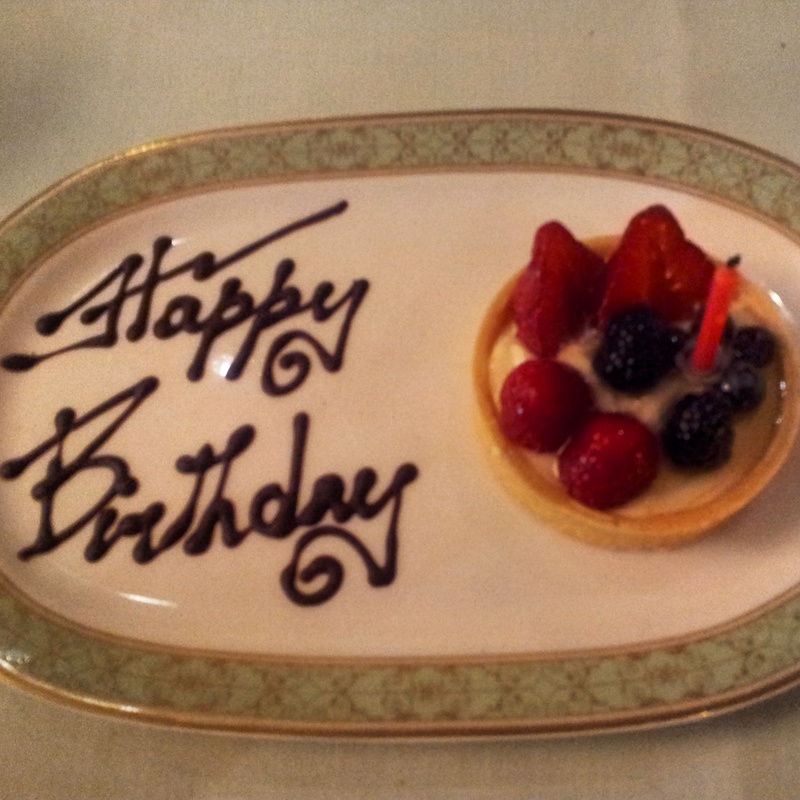 And so the scones arrived – but not before the waiting staff headed in our direction, bearing a delicious fruit tart on a happy-birthday decorated plate, singing to my friend, whilst the live pianist provided the melody. The scones were perfectly warm, insulated in a little cloth pouch but I had a split second of disappointment when I noticed a lack of chocolate chips. Sometimes though, less is more and Paul A Young has clocked onto this. Instead of stuffing the scones with chocolate, they offer plain and sultana and the dose of indulgence comes in the form of clotted cream and a seductively lush, salted caramel sauce – my scones got abused with lashings of this. There’s also a raspberry jam for those who want to adhere to convention. The cakes were a delightful combination to suit all tastes. Birthday girl laid claim to the Battenberg but I was too busy eyeing up the chocolate and earl grey tart to notice. The pistachio and chocolate slice was light and moist but I would recommend leaving the chocolate and orange ganache till last as it is very rich and decadent, which may over-power the other desserts if you dive into it first. We left full enough to know not to stand on the scales at home but not so full so as to be offered a seat mistakenly on the tube. Little did we know that the Baftas were occurring that very night and the guests were arriving just as we were leaving. With this in mind, there was a serious lack of celebrities to be spotted. Kudos to the hotel staff for hiding them so well! This is likely to be a limited edition tea so if you enjoy unique afternoon teas or happen to be in possession of one of Willy Wonka’s golden tickets, then book up quickly before word gets out! I’m fairly convinced that the fact of having weekends are excuse enough! Omg, you had me at “chocolate”. Those cakes look SO yummy and that chocolate cucumber sandwich actually sounds really good. I’m going to be in London for only a couple of days this summer, and this luxury tea thing is something I really want to do, if only I can convince the boyfriend… sigh :/. Haha! Yes, there’s a reason I decided to take my friend for her birthday rather than arranging this with my husband! 😀 Hope you get a chance to go to this one or one of the other lovely ones around London when you come! I love scones. Now, I’m going to call my daughter who makes the best ones and have her make some for me. fun! Pingback: Honeymooning in Tanzania at the Selous Serena Luxury Camp | Why Waste Annual Leave? Oh gosh, these look so yummy. 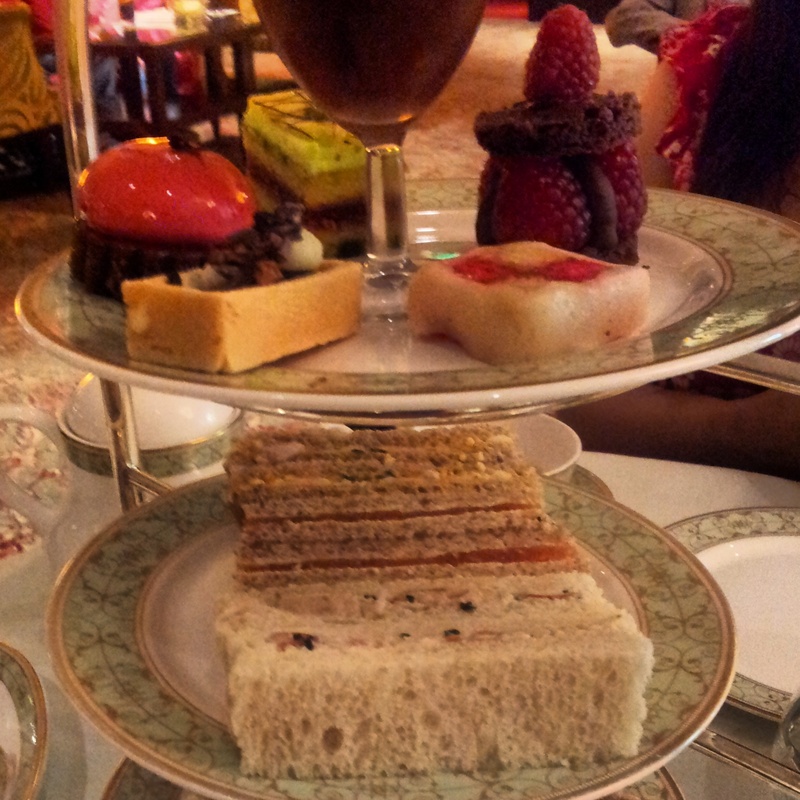 I love afternoon tea but sometimes I can’t justify the price tag. I sort of wish I had gone when I was in London. Next time! Thanks for the kind words Akhil 🙂 I agree it’s definitely suitable for those of us with a sweet tooth! I took a friend for her birthday & they made her feel really special which was lovely! Highly recommend it next time you’re in London! Pingback: A Countryside Weekend Break in La Limousin, France | Why Waste Annual Leave?